The last few weeks have seen a wave of political killings in Ukraine. All the deaths have been of high profile figures associated with opposition to the current Kiev government. The two most recent killings, one of a former Party of Regions MP and the other of a journalist and author, coincided with the victims’ details being published on a website called The Peacekeeper shortly before their deaths. This website, which has the support of Anton Geraschenko, a top advisor to Ukraine’s interior minister who encouraged his Facebook followers to send in information about “suspected terrorists and separatists” to the site, claims to be a database with information on “pro-Russian terrorists, separatists, mercenaries, war criminals, and murderers”. This claim by the neo-nazi Ukrainian Insurgent Army comes shortly after they have been legitimised by the Ukrainian parliament, in the same breath as banning all Communist symbols and propaganda and glorifying the nazi collaborators in WWII. Far right elements in Ukraine have also recently received a boost from the appointment of Dimitry Yarosh, leader of the fascist Right Sector, to Advisor to the Chief of the General Staff of the Armed Forces in Ukraine. President Poroshenko’s reliance on fascist elements to silence opposition to his regime is increasing. The final interview given by Buzyna before his murder is revealing. In it he says “I support the idea that relations between Russia and the Ukraine should become most comfortable and friendly [because] the ‘real’ Ukraine is in large measure dependent on economic ties with Russia”. He goes on to say “There was a coup d’état. After that, it was legalized, they did everything, anything they wanted, to make it look decent…The fact that there was a coup is hugely the fault of Yanukovich, who failed to perform his duties as President”. He also describes the country as being “governed by thieves from within” and concludes by saying that the government is “shelling civilians in towns instead of fighting terrorists… That’s the thing. My position is inconvenient to the current authorities in Ukraine”. One week after criticising the government in this way, Buzyna was dead. These two most recent murders have been preceded by a spate of so-called suicides, all involving opposition figures. On February 28, Mikhail Chechetov, a former MP for the Party of Regions, reportedly jumped from the window of his 17th-floor apartment in Kiev. On March 9, Stanislav Melnik, also a former member of parliament with the Party of Regions and the manager of several businesses in Donetsk, was found dead in his apartment near Kiev. And finally, on March 12, Oleksandr Peklushenko, another former MP, was found in his house in Zaporizhzhya, in southeastern Ukraine, dead of a gunshot wound. The Kiev authorities have claimed that many of these deaths are suicides. Regarding Buzyna and Kalashnikov the government has suggested that this could be the work of Moscow attempting a provocation by killing off opposition figures. This seems far-fetched to say the least, as Buzyna said in his final interview: “When the country is governed by thieves from within, it is very easy to blame Putin. Whatever happens—Putin is to blame.” In the context of a consolidation of fascist positions in the government and in law, as well as the breathing space afforded by the fragile ceasefire agreement, it appears that Kiev is making the most of this opportunity to unleash its far right thugs against its opponents. Meanwhile US troops have begun training soldiers of the Ukrainian National Guard, while the US state department has hypocritically claimed that Russia is violating the terms of the Minsk agreement by massing weapons in prohibited zones and carrying out training exercises with rebel forces. Although the ceasefire appears to be holding in the main, there has been fighting breaking out at certain flashpoints, particularly near the key port of Mariupol. Poroshenko, under pressure from the far right Ukrainian nationalists, will not be able to reconcile fascist support for his government with a separatist state in the east of the country. This will put the ceasefire under more and more pressure the longer it continues, but Poroshenko recognises the potential for general discontent, caused by continued war in the east, to spread widely among ordinary western Ukrainians. Thus he is cementing his position by eliminating figures around which opposition to his regime could coalesce, thereby paving the way for a renewed assault on the eastern republics. Terrorism in Macedonia Wasn’t An Isolated Act! The weekend [9.-10. May 2015] violence in Macedonia (FYROM) [later in short only Macedonia] has sent a wave of anxiety across the Balkans raising concerns about presumed ethnic-Albanian unrest in the volatile region. Eight police officers were killed and 37 were injured in the gun battles, which began at dawn Saturday [9th May 2015], and also 14 gunmen were killed in the fighting. 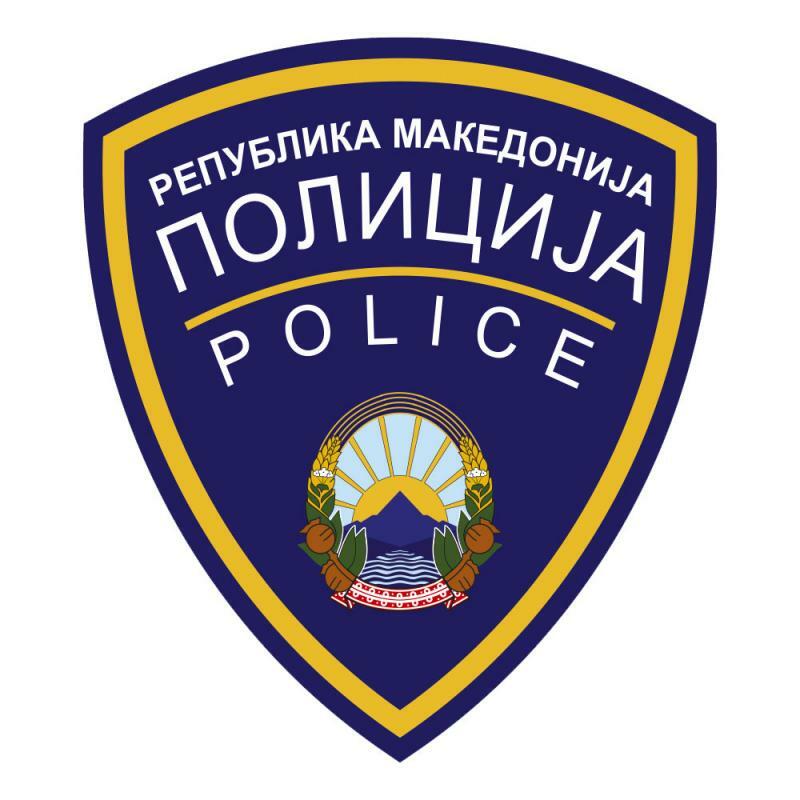 Earlier a police operation had been launched in the suburb of Divo Naselje to “uncover and break up an armed terrorist group” that had entered Kumanovo from “a neighboring country” with the aim of “attacking state institutions”. Police encountered heavy resistance from the “well trained” group that was using “automatic weapons, bombs and snipers”. 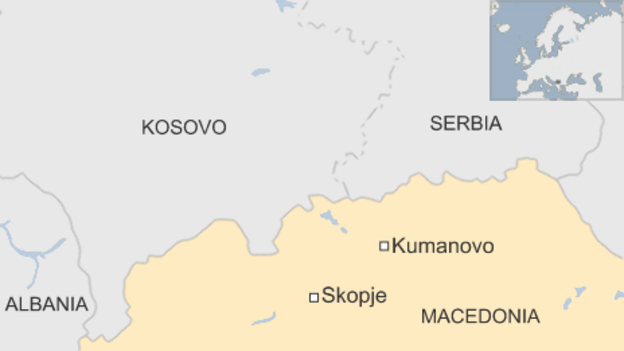 Kumanovo is located next to the rural municipality of Lipkovo, where, on April 21, an unidentified armed group from nearby Kosovo had briefly stormed a border police. Besides in Macedonia the ripple effect seems greatest in Bosnia, which remains troubled by its own recent militant attack. Less than two weeks before violence erupted in Kumanovo, a radical Islamist attacked a police station in the eastern Bosnian town of Zvornik. Sure it would be politically nice for Western Powers if terrorism in Macedonia is only an individual, isolated act; howver I’m afraid this not the whole picture. 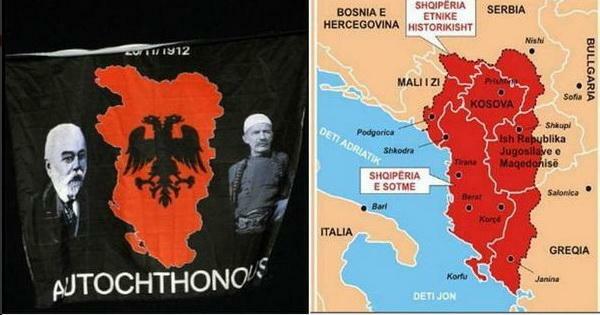 Perpetual struggle for «Great Albania»? The recent statement by Albanian Prime Minister Edi Rama that the isolation of Kosovo in European integration could result in the classical unification of Albania and Kosovo has at the same time woken up the old ghosts of divisions and conflicts in the Balkans. Idea “Great Albania” , which is actively propagandized by nationalists in Albania and in Kosovo, assumes association of all territories in which ethnic Albanians live. The most part of this territory is in borders of present Albania, Kosovo, Macedonia, part of Serbia, Montenegro and Greece. Macedonia was spared the inter-ethnic violence that raged elsewhere in the Balkans following the break-up of Yugoslavia in the early 1990s but it came close to civil war a decade after independence. Rebels staged an uprising in early 2001, demanding greater rights for the ethnic Albanian minority. The conflict created a wave of refugees and the rebels made territorial gains. Acknowledgement of ethnic-Albanian rights was formalised in amendments to the constitution approved by parliament in late 2001. In return for the deal [the Ohrid Agreement], the insurgents disbanded and formed the ethnic Albanian Democratic Union for Integration, which now sits in government. Albanians account for about a quarter of the population. In August 2004, parliament approved legislation redrawing local boundaries and giving ethnic Albanians greater local autonomy in areas where they predominate. Although Macedonia was confirmed as an EU candidate country in December 2005, however EU candidacy is frozen amid a dispute with Greece over use of the name Macedonia. The rise of Albanian nationalist irredentism along the fragile Kosovo-Albanian border gave first signs with a recent attack on a Macedonian police border post at Gošince by 40 armed men wearing the insignia of the the National Liberation Army, NLA, a branch of outlawed Kosovo Liberation Army (KLA), and demanding the creation of an Albanian state within Macedonia. It is hard to believe that this act occurred without knowledge of U.S. intelligence based in Camp Bondsteel in same neighbourhood. From geopolitical point of view the attack in Kumanovo and earlier [on April 21st 2015] attack to police station in the village of Gosince might not be isolated individual terrorist acts. There is reasonable doubt that these actions are part of the U.S. strategy to bury the Macedonian government of Prime Minister Nikola Gruevski with help of Social Democratic opposition leader Zoran Zaev, a U.S. favorite and ethnic uprising of Albanians. Amid daily anti-government protests and mounting pressure upon Gruevski to resign, some observers accused the authorities of trying to distract the public from the crisis by fabricating ethnic unrest. Zoran Zaev, said he suspected the government was behind Saturday’s violence in an attempt to deflect attention from the crisis. The U.S. ambassador to Macedonia, Jess Baily, has made waves in Skopje by publicly supporting the putsch being called for by former Social Democratic prime minister and president Branko Crvenkovski, a native of Sarajevo, Bosnia who has been at the forefront of calling on Macedonian youth and college students to hit the streets of Skopje to stage a color revolution against the democratically-elected government of Gruevski. One could also mention that Crvenkovski has accepted large amounts of largesse from such CIA NGO laundry operations as the National Democratic Institute (NDI), National Endowment for Democracy (NED), Freedom House, and Soros’s Open Society Institute (OSI) to foment a themed revolution against Gruevksi’s right-of-center VMRO-DPMNE government. An additional motivation for U.S. strategy might be that Gruevksi, unlike many U.S.-installed and -influenced governments of the region has been reluctant to apply sanctions against Russia over Ukraine. Besides political aspects there is economic ones too. While South Stream Pipeline project was replaced with Turk Stream and planning is going on to continue project with sc Balkan Stream some serious threats still remain that could endanger the viability of this new project. These mostly have to deal a reoccurrence of instability in Macedonia. And this happened now. The Turk Stream and the Balkan stream pipelines are not the only issues in geopolitical game in Macedonia but there is also the Chinese-funded Balkans railway part of the Silk Road project that will link the Greek port of Piraeus to Budapest through Macedonia and Serbia. 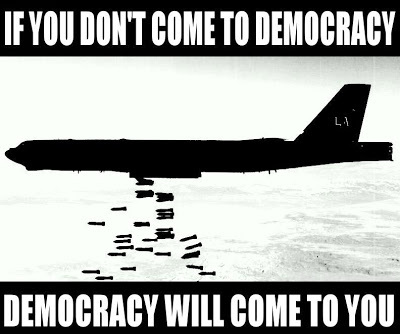 In my opinion the events in Macedonia are only logical outcome from choices U.S. made mid -90s. As Canadian General Lewis MacKenzie said “We Bombed The Wrong Side”. Then followed Kosovo. 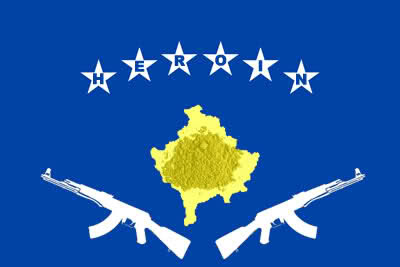 Despite the Western intelligence agencies warned that Hashim Thaci ran an organised crime network in the late 1990s, that the KLA were criminals running the drug, slave, and weapons rackets throughout Europe, despite all this U.S. decided to back these tribal crime gangs in name of “humanitarian intervention”. KLA’s transformation from Organized Crime-/terrorist group to freedom fighters was an amazing media victory which guaranteed the occupation and later capturing of Kosovo for OC-Clans. 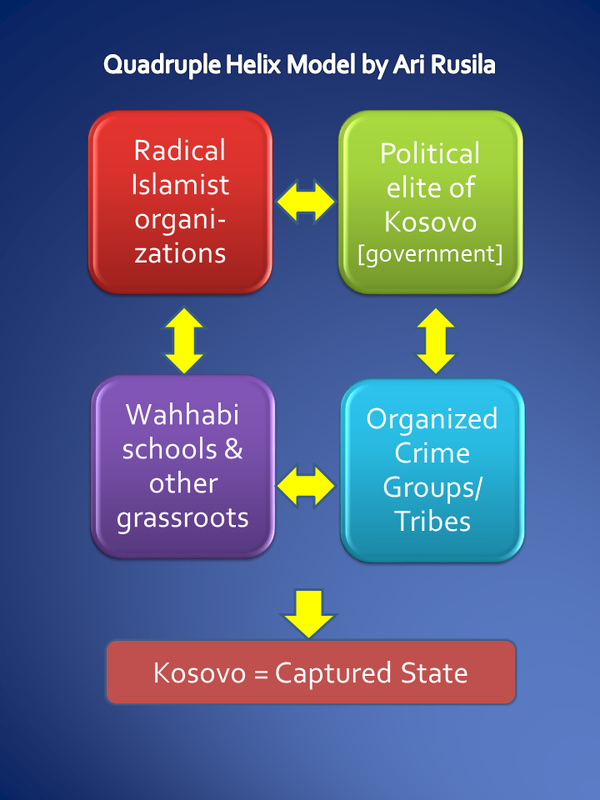 (More about case in article Captured Pseudo-State Kosovo ). Generally speaking it seems that Albanians – or remarkable part of them -are incapable of living and co-existing with their neighbours – Greeks, Macedonians, Montenegrins and of course, Serbs. Albanians continue to cause trouble, even though they have all the rights that they asked for in Macedonia, through the Ohrid Agreement, and have also achieved a pseudo “independence” in Kosovo. 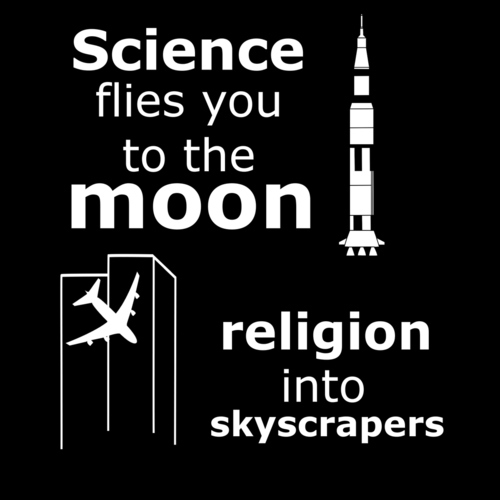 I would like to point out that now the West can not any more escape reality, facts can not be ignored any longer. EU in my opinion should start to distance itself from U.S. cowboy policy. Now many Europeans realize they were hoodwinked into recognizing Kosovo’s independence on the pretence it would resolve problems and bring peace – it didn’t happen; a new approach is needed. The events in Macedonia could be start for reassessment of U.S.policy in Balkans and operations/presence of international community there. Great Albania – the name used for Albanian ethnic territories in the Western Balkans. A former speaker of Kosovan parliament believes Macedonia should be federalized between Albanian and Macedonian territorial units as the only way for country’s stability and guaranty of full respect of political rights of Ethnic Albanians in the inter-ethnic troubled country. While South Stream Pipeline project was replaced with Turk Stream and planning is going on to continue project with sc Balkan Stream some serious threats still remain that could endanger the viability of this new Balkan Stream. These mostly have to deal a reoccurrence of instability in Macedonia. Recent events in Macedonia (FYROM) are giving some credibility to an article Oil Geopolitics: The South Stream Pipeline Has Been Replaced by “The Balkan Stream” by Andrew Korybko in Global Research, March 15, 2015. The article is republished here as it gives a background information and view to issue. Oil Geopolitics: The South Stream Pipeline Has Been Replaced by “The Balkan Stream”. As Russia begins to build a pipeline through Macedonia that could form the basis of a revised South Stream route, the Hungarian President is in talks with Erdogan over financing this enormous project. While many in the Balkans were lamenting the cancellation of the South Stream project last December, Russia was hard at work laying the foundation for its replacement, hereafter referred to as ‘Balkan Stream’. The concept is to connect ‘Turkish Stream’, the Russian pipeline to Turkey’s Eastern Thrace region, to South Stream’s previously intended Serbian, Hungarian, and Austrian partners, but detouring through Greece and Macedonia to compensate for the exclusion of Bulgaria. While such a strategy was previously only talk, concrete action was taken this week to transform it into a reality, which wouldn’t have been possible had Macedonia not beaten back the Color Revolution attempt that aimed to sabotage the entire thing. The whole reason that Balkan Stream was conceived in the first place was because its predecessor, South Stream, was cancelled last December. Russia took this decision after Bulgaria (influenced by the EU acting on behalf of the US) made it impossible to construct the pipeline through its territory due to a slew of political and legal games that it was playing. At the time, the author was the first person to write that a replacement route could realistically go through Greece and Macedonia, thereby resurrecting the project and fulfilling the pressing energy demands in Europe that necessitated its creation in the first place. Russia was quick to move, and in the same breath that it cancelled South Stream, it announced ‘Turkish Stream’ to partially replace it. This pipeline will travel under the Black Sea just as South Stream was intended to, but would instead reach land at Turkey, not Bulgaria. From there, the Russian government said, European nations could buy gas from a terminal at the Greco-Turkish border, in what was interpreted as a vague hint that such purchases could either be LNG or possibly even the start of a brand new pipeline. Midway through December, Putin officially suggested during his annual news conference that the Greek-Macedonian ‘detour’ could represent a solution to South Stream’s cancellation, provided that there was interest in his proposal. This was echoed by the Hungarian Foreign Minister in mid-January, when he said that his country would support the project. Interpreting this as a greenlight to move forward, Putin discussed the topic with Viktor Orban during the former’s visit to Budapest last month. 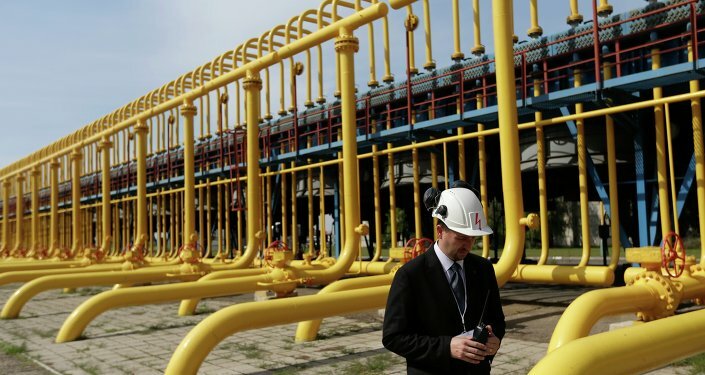 This week was the most monumental in terms of actually making progress on the project because Stroitransgaz, one of the companies involved in the original South Stream, announced on Thursday that it would be building a gas pipeline through Macedonia, which is set to begin construction this weekend and be completed by next summer. That same day, the Hungarian President, while on a four-day visit to Turkey, spoke with Erdogan about a financing plan for the project, and a day afterwards, the Macedonian Foreign Minister paid an official visit to Turkey as well, where it is expected that he’ll discuss the topic, too. Through these series of diplomatic steps, Balkan Stream made the jump from paper to practice. This wasn’t supposed to happen, at least not if the US had gotten its way in Macedonia last month. Understanding that it’s the crucial bottleneck through which Balkan Stream must run, Washington wanted to stage a coup in the country in order to install a new leader that would reject the project and put an end to the region’s plans for reliable energy transit. Nikola Gruevski, the Prime Minister of Macedonia, had earlier broke ranks with his EU partners by refusing to sanction Russia, in a show of rebellion that the US felt it had to absolutely put down. For the few past couple of years, it had contracted the services of former intelligence chief Zoran Verushevsky in order to illegally wiretap over 20,000 people in the tiny country of 2 million, including politicians, journalists, and regular citizens. When it became clear at the end of last summer that South Stream was being stonewalled by Bulgaria and a new route would likely have to be streamlined (which geography dictates would obviously have to go through Macedonia), it activated its intelligence cell in order to preempt these plans, just in case they would go forward sometime in the future. Zoran Zaev, the leader of the opposition, was given copies of these illegal tapes in order to blackmail the government, which he attempted to do from September to November. When Gruevski refused to give in to the blackmail, Zaev threatened to go public with the wiretaps and accuse the government of carrying them out, alleging that they also contained embarrassing political information and insinuating that this would lead to a Color Revolution. At the end of January, the Macedonian security services finally arrested Verushevky and a few other conspirators for plotting a coup, and Zaev had his passport taken to prevent him from fleeing while the investigation was ongoing. Verushevsky’s son even attempted to destroy his father’s computer before police stopped him, yet authorities were able to access the salvaged hard drive and recover Skype conversations where Verushevky and another plotter even spoke of starting a civil war in the country as a result of the blackmail ‘revelations’. While Zaev attempted to create an actual Color Revolution last month by encouraging people to amass in the streets and protest the government, he failed to garner a consistent and sizeable following, showing that most Macedonians saw through the gimmick for what it was — a Ukrainian-styled soft coup attempt. Taking matters further, both Albanian parties in the country (whose affiliates are estimated to possibly constitute a quarter of the population) loudly distanced themselves from Zaev, thereby diminishing the prospects of a return to the 2001 interethnic violence that rocked the country and could have set the stage for the civil war that the conspirators previously discussed. Russia evidently feels that the combination of government action, Albanian loyalty, and popular support has finally stabilized the situation, since it would not have gone forward with the pipeline’s construction through Macedonia had it thought that it could be endangered by the Color Revolution attempt. Accordingly, one can interpret this as Moscow’s recognition that Washington’s plot ultimately failed. 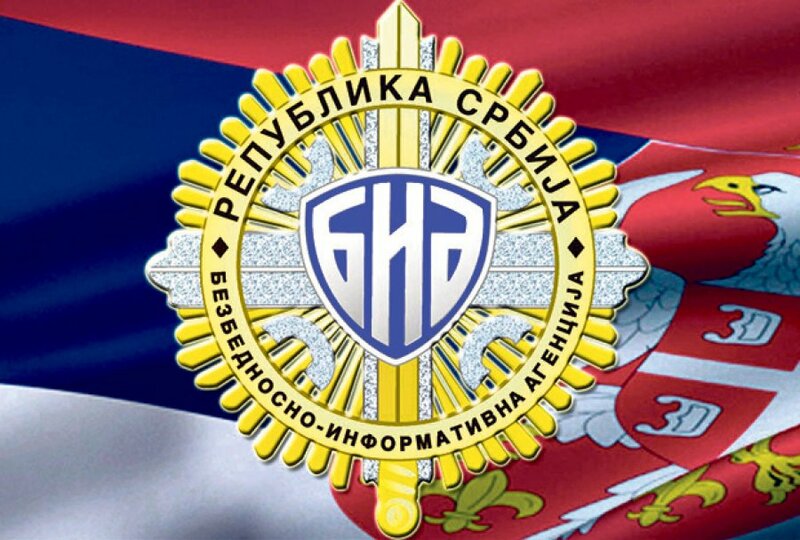 Despite the obvious failure of Zaev’s destabilization, serious threats still remain that could endanger the viability of Balkan Stream. These mostly have to deal with the susceptibility of Hungary and Serbia to similar Color Revolution attempts (or a reoccurrence of instability in Macedonia), as well as the fragility of the Greek government. Also, a plan needs to be devised as to how the pipeline will comply with the EU’s Third Energy Package (which mandates the separation of energy suppliers and distributors), as the failure to have done so was the ‘official ‘reason that South Stream was stonewalled last year. If these difficulties can be surmounted, which is entirely feasible, then Balkan Stream has the potential to enrich the region and ensure Europe’s stable energy transit for decades to come. Earlier in my article Gaza State Under Construction, West Bank Remains Bystander I described how official representatives of the Israeli government and defense establishment have been holding a real dialogue with the Islamic terrorist group – Hamas – in a bid to reach a long-term calm on the Gaza border. This possible deal between Hamas and Israel has a risk that internal disagreements between Hamas’ political and military wings could endanger it. Ezzedeen Al-Qassam Brigades might take advantage of instability within the Hamas to carry out attacks on the border with Israel without getting a green light from Hamas’ political leaders. Struggle inside Hamas is not the only battlefield in Gaza. A group calling itself Supporters of the Islamic State in Jerusalem has continued to challenge the Gaza-ruling Palestinian entity Hamas. Now during last weeks there has been increasing tensions between Hamas and sc Islamic State (IS). After Isis beheaded several Palestinians, including a senior Hamas official, inside the Yarmouk refugee camp in Syria in April 2015, the Palestinian Intelligence agency, Palestinian Authority and Hamas, swore that it would avenge the killing of their personnel. Since then Hamas has arrested several prominent Islamic State preachers from Gaza. According to Isis sources on social media, Hamas has arrested at least 40 “Salafi Mujahideen”. According Foreign Policy Hamas implemented demolishing a Salafist mosque in Deir el-Balah took place on Sunday [3rd May 2025]. 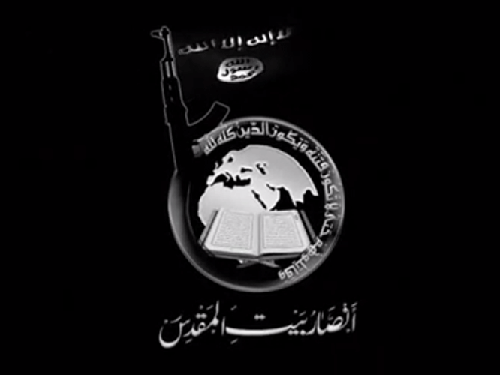 The mosque had been frequented by supporters of the salafi jihadi group, which is called Ansar al-Dawleh al-Islamiyeh (Supporters of the Islamic State ). Hamas did not comment on the charges. However, sources close to Hamas denied the charges, saying the structure that was bulldozed was not a mosque but an office that served as a meeting place for the jihadists. Seven men, including a local Salafist Sheikh Yasser Abu Houli, were arrested during the demolition of Mosque Almtahabin. In its statement, Isis said that it would kill Hamas personnel one by one as it knows the names and addresses of all the officers working for the Palestinian Intelligence agency. Isis in Gaza also alleged that Hamas was working for the Israeli forces. Isis gave Hamas 72 hours to release Salafist Sheikh. ” If Hamas doesn’t release a detained Salafist sheikh, IS threat of “dire consequences. 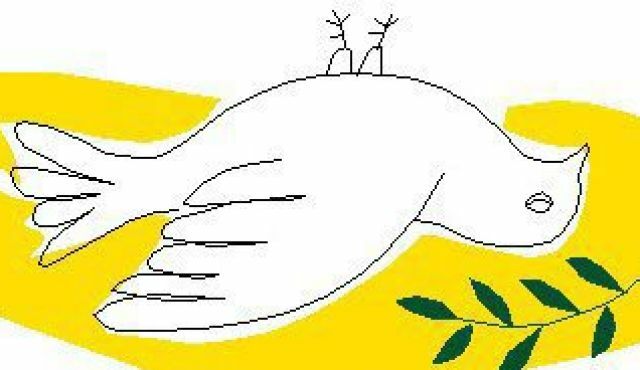 Israeli-Palestinian peace negotiations stopped as [on 23rd April 2014] Fatah and Hamas announced a new reconciliation agreement which would see a unity government formed within five weeks, ahead of a presidential and parliamentary election within six months. Palestinian Authority President Mahmoud Abbas said the reconciliation deal did not contradict their commitment to peace with Israel on the basis of a two-state solution. Israel disagreed. However in the midst of negotiations to resolve the 2014 Israel–Gaza conflict, the Shin Bet revealed an alleged plot by Hamas to depose Fatah rule in the West Bank. This would be achieved by deploying Hamas cells around the West Bank to incite a third intifada and overwhelm Palestinian Authority forces. More than 90 people were arrested. President Abbas said the plot was “a grave threat to the unity of the Palestinian people and its future.” After this the PA has taken a series of unilateral steps to achieve statehood without moving towards peace with Israel, including a failed bid for UN recognition and a successful attempt to accede to the International Criminal Court. According United with Israel Prime Minister Benjamin Netanyahu turned down a proposed visit from US Secretary of State John Kerry following the Israeli elections, saying it would be better to visit after a government coalition is formed. The purpose of the visit may have been to revive the moribund Israeli-Palestinian peace process, pundits say. The report came from Israel’s Channel 2 news station. Correspondent Udi Segal suggested that Kerry was seeking reassurances that Israel was willing to move forward on negotiations with the Palestinian Authority. During his campaign, Netanyahu said that there would be no Palestinian state created on his watch. He later clarified that he meant that current conditions were not right for the creation of a Palestinian state. 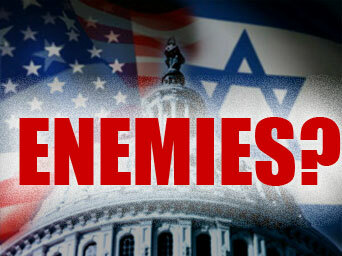 There have also been intimations that the Obama administration interfered in the Israeli elections. The US Senate is currently investigating whether the State Department provided funding to the Victory 15 campaign, whose sole goal was to unseat Netanyahu. 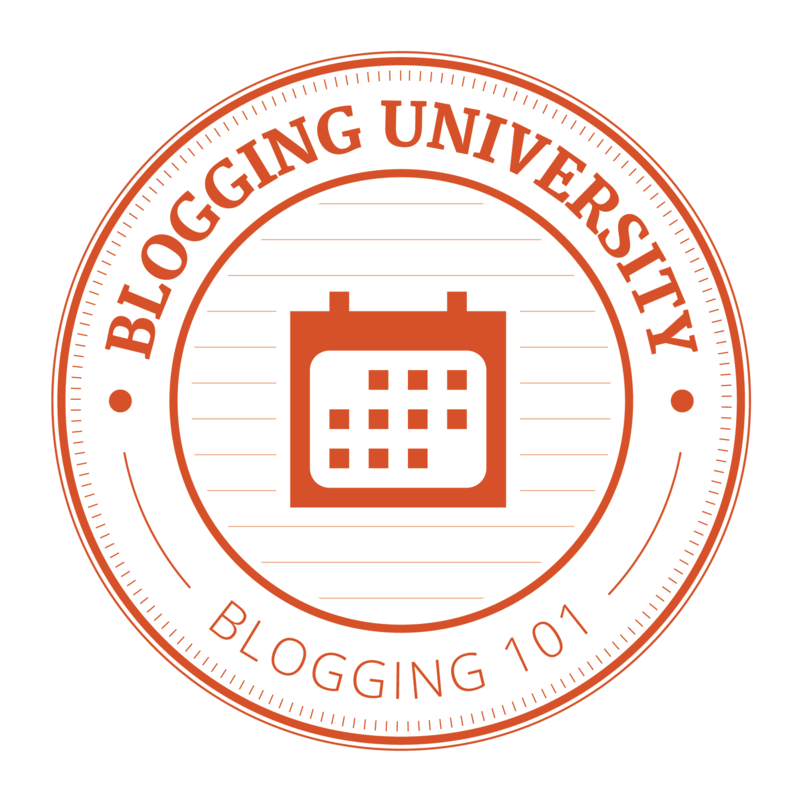 You are currently browsing the Conflicts by Ari Rusila blog archives for May, 2015.